September 8, 2016: Life insurance salespeople have never been popular, and as everyone knows, life insurance is really “death insurance.” “Reputation management insurance” people aren’t any more popular. Why insure against something that’s never going to happen? Unfortunately, humans make mistakes. Things go awry. Customers – rightly or wrongly – get angry and stay angry. If you search Google News with the keywords “social media” you’ll see a daily, never-ending stream of debacles, firings, and even jailings associated with rogue social media posts. (That’s why having a social media policy — and sticking to it — is so important). Reputational disasters come in many shapes and sizes; what’s constant is that they’re served hot – not cold – on social media. But even with a social media policy in place, people will be people. The odds might be low, but there’s a one in x chance that your online reputation will take a dive sometime in the future, for reasons that aren’t even on the horizon right now, prompted by people you may not even know. Reputational disasters come in many shapes and sizes; what’s constant is that they’re served hot – not cold – on social media. Let’s posit that your company is having a reputational crisis. Perhaps the name of one of your executives has appeared in a hacked database from an edgy website. Or damning Twitter photos have appeared showing someone on your staff wearing an offensive Halloween costume. Maybe your firm was caught red-handed modifying a competitor’s Yelp entries. It doesn’t take much to create a serious reputational crisis these days! You must prepare for these unlikely events – while times are good – so that when things go bad you have a recovery plan you can instantly put into action. OK then, so what does “being prepared” mean? 1. Prepared to buy media. If SERPs become suddenly flooded with negativity, flood them back with targeted paid placements. Use Google Trends, Keyword Planner, AutoSuggest, and/or 3rd party tools to identify keywords that are being actively searched upon. On Facebook, target users of relevant industry groups via paid placements. On Twitter buy those hashtags – whether they’re flattering or unflattering. You might wind up burning through a pile of money if you keep the paid spigots on too long, so monitor your traffic levels carefully. (Note: buying clicks will be an opportunity lost if you fail to enroll/recruit incoming traffic. Opt them into your newsletter. Let them sign a petition in your favor (if appropriate). Make it clear that you’re not the only one defending your cause in cyberspace! 2. Prepared to have an answer ready on your own turf. Any official statements used for reputation management purposes need to come from your HQ, which is of course your home turf. But where should that turf be located? Decide on a central point of contact with the public. You can choose to have this presence live on a social network, but you will have more control over its presentation on your own blog, so it’s a better choice. Use social media to drive people from different “spokes” (Twitter, Facebook, Medium, etc.) to your hub. 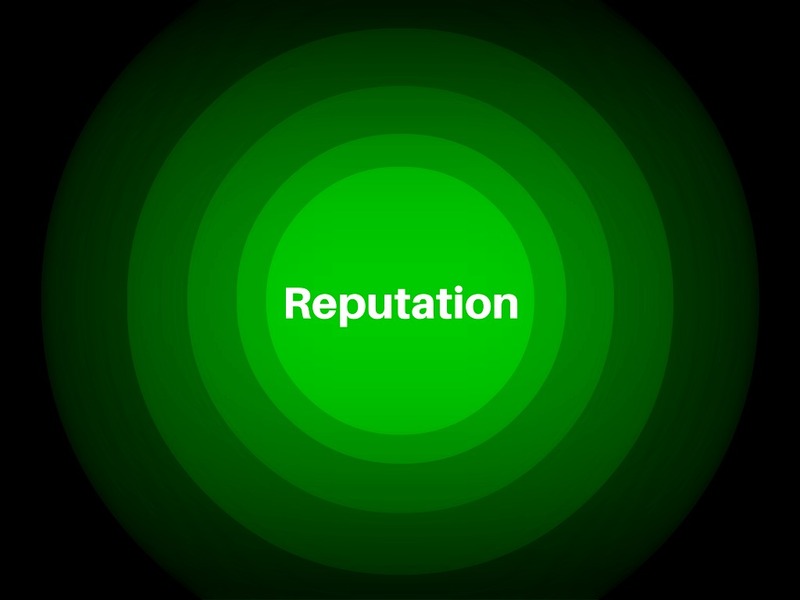 (This content model, unsurprisingly, is called “hub and spoke,” is widely used in content marketing, and is well-suited to reputation management). So what should be on this hub? 1. A home page that is your “front door.” This is in place to catch direct referral traffic (people curious about you but fuzzy about the details). Make this page as interactive as you can. Don’t hide your “live” elements. Also include a search function. 3. Up to date contact information. In a recent poll, 53 percent of reporters polled identified outdated business information as a problem with corporate sites. 4. A way to handle comments directly. If you’d prefer not to handle comments on your own site, handle them on social media. After all, these networks were built to do exactly that. Facebook now incorporates a “direct talk to me” feature via your Business Page and via paid media. Have a process for handling and fielding these comments. This may mean preparing boilerplate statements in advance. 5. A section for the press. Journalists will be the first to arrive at your site and they’ll be making up their minds very quickly. Include fact sheets, links to regulatory filings, video content, an archive of press releases, and a way to subscribe to your news feed if you have one. 1. A general FAQ on your company: create this in advance. 2. A crisis-specific FAQ (“What this is about/where we stand/why we have the position we have/why you should support us”). Obviously, this document needs buy-in from your top management, perhaps including legal counsel. No amount of preparation and planning is guaranteed to completely deflect a reputational blow. But being ready before a crisis strikes gives you the ability to respond quickly, prove to the world you care and are paying attention what people – rightly or wrongly – are thinking, and encourages the world to experience your side of the story, all of which gives you a shot at spinning the message favorably in your direction. Didit Editorial is the team publishing content to the Didit Marketing Blog. Didit is hiring! Our agency is looking to bring a Senior SEM Specialist on board, who will work at our NYC office.